Did Seattle just kill Energize Eastside? 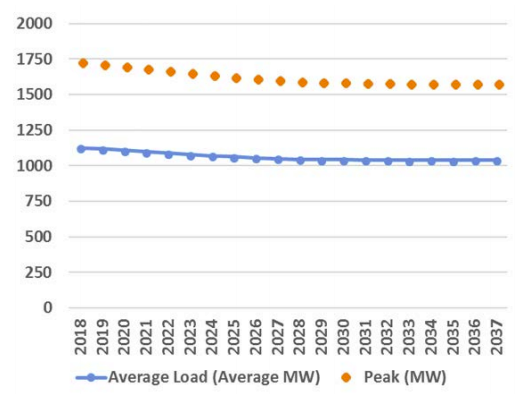 The latest electric load forecast from Seattle City Light raises questions about PSE’s forecast for the Eastside. Seattle expects its load to decline 5% by 2024 and continue falling for the next decade. PSE claims Eastside load will increase 12% by 2024 and never level off. Why is PSE’s forecast so much higher than Seattle’s? One explanation could be the different ownership and incentives of the two utilities. PSE is owned by foreign pension funds, whose main goal is to maintain a high rate of return for their investors. Seattle City Light is a public utility, owned and controlled by the citizens of Seattle. If PSE is allowed to build Energize Eastside, a project founded on scant historical evidence, mountains of advertising, and a potentially flawed load forecast, the company will earn a billion dollars of additional revenue from higher electricity prices during coming decades. Each customer will spend approximately $1,000 more than necessary for electricity during that time. Energize Eastside doesn’t make sense. CENSE will continue to speak the truth for the sake of our community, the environment, and future generations.